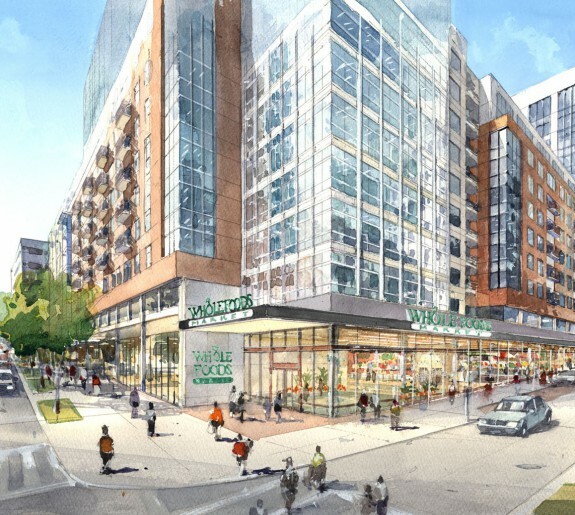 Creating a live/work/play environment with a mix of mid-rise Class A commercial office buildings, retail amenities, and a variety of housing options developed within the framework of a walkable, pedestrian-friendly community. 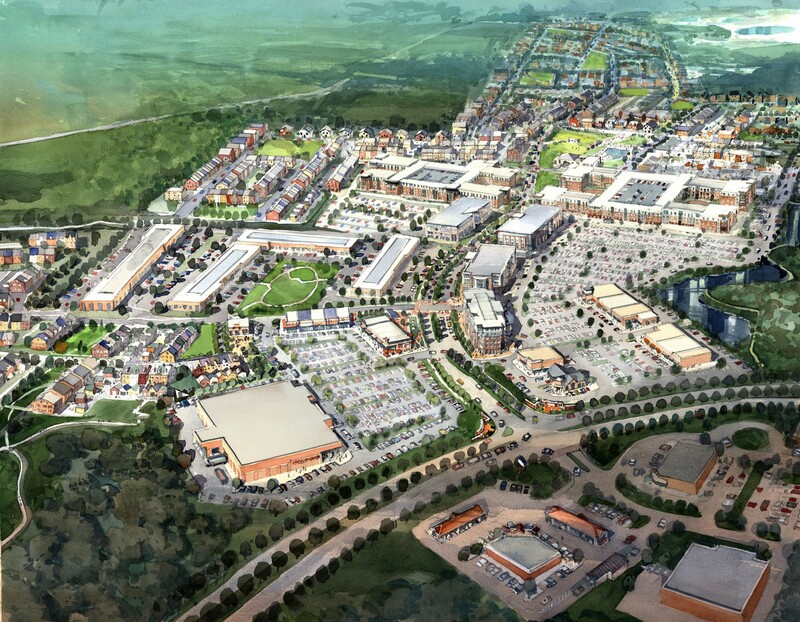 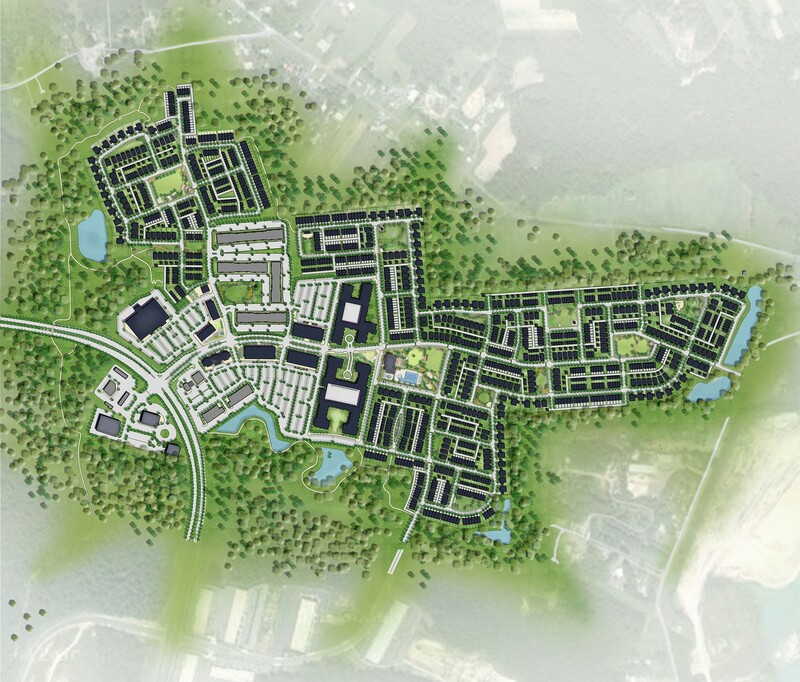 Baltimore Crossroads is a 1,000 acre masterplanned, mixed-use community located 3 miles east of I-95 on White Marsh Boulevard/MD Route 43 in the White Marsh area of Baltimore County. 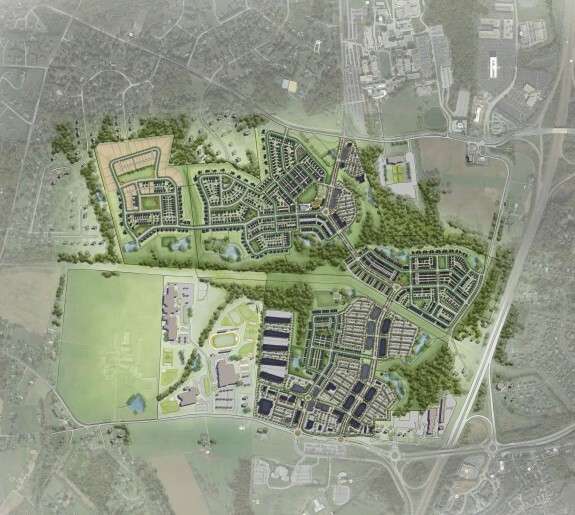 Comprising 200 acres of Baltimore Crossroads, Greenleigh is planned to include approximately 1,700 residential units, 500,000 square feet of office space, and 100,000 square feet of retail. 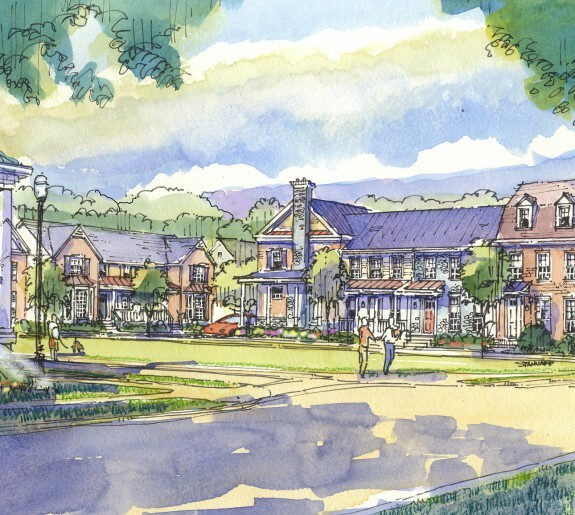 The residential units proposed include a mix of single-family attached (townhouses), single-family detached, apartments, and/or condominium units. 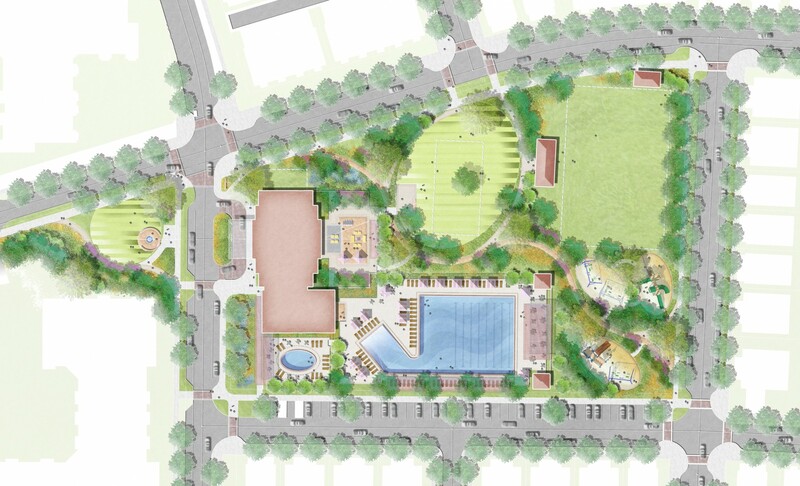 The residential neighborhoods comprising Greenleigh are envisioned to emulate the design principles of Traditional Neighborhood Development (TND) which include short, walkable blocks; a connected street grid designed for all users, including pedestrians, cyclists, and motorists; a network of open spaces including plazas, squares, greens, parks, and trails to provide a variety of recreational opportunities; and a variety and mix of residential types close to neighborhood-serving retail and employment options. 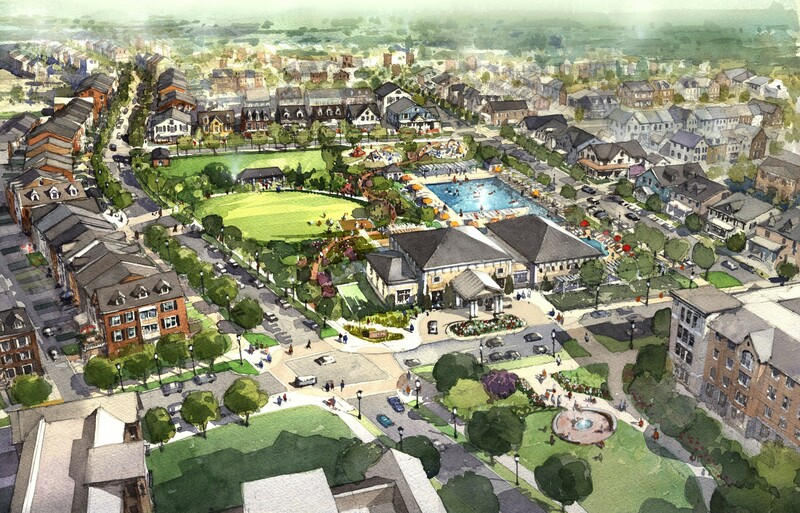 TND communities are structured with one or more neighborhoods sized to a five-minute walk or roughly a quarter mile from center to edge.